Pain in the neck: it could be a pulled muscle, trouble is it locks solid when I look over the right shoulder so I have ot look well over the left instead. 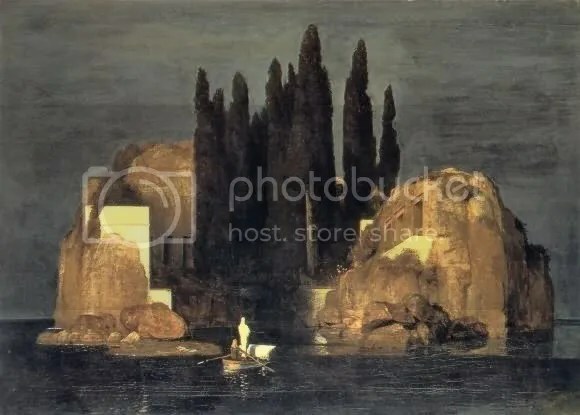 Isle of The Dead: this Böcklin painting came to mind when I rode past a small fishing lake today. See the photo below. It might be a picture depicting the River Styx with the character Charon in the boat in white, but then maybe it’s not.